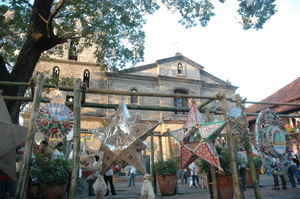 Las Piñas used to dominate the parol (Christmas lantern) industry with its traditional parols – with frames made of bamboo strips and covered with Japanese paper. Competition brought about by cheaper materials caused the decline of the industry. In 2007, encouraged by Congresswoman Cynthia Villar, the magpaparols (parol makers) organized themselves into the Samahang Magpaparol ng Las Piñas. To support them, Congresswoman Villar set-up the Las Piñas Parol Center. The Center serves as a training area and where new designs and packaging techniques are explored together with technical people sent by the Department of Trade and Industry. Since then, the Villar SIPAG has sponsored an annual Parol Festival showcasing the craftsmanship of the Las Piñas magpaparols and celebrating this tradition with singing and dancing. 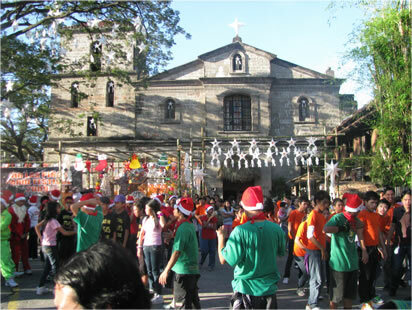 A Parol Making Competition is held featuring the use of various materials ranging from natural (grass, leaves, etc.) to recyclable items (plastic bottles, used tin cans, etc. ).